What is an iPhone digitizer? This is the digitizer on an iPhone! The digitizer is fused UNDER the glass cover. It’s the electronic component that senses the touch of a human finger through the glass, and is designed to allow the unit to be controlled by a fingertip. This is the “input” of the device and it’s very thin and transparent. The point is that you cannot replace the digitizer alone. Since it’s part of the glass, in the event of a touch failure it needs to be replaced with the glass and vice versa. So if you have a cracked iPhone glass, you’re going to get a new digitizer as well. If you have an iPhone that doesn’t respond to touch, you’ll also get a new glass. It’s just the way it’s designed. Don’t forget our wide selection of iPad Glass Repair options! Remember, you might see these glass panels for sale cheap – be sure to inquire about the required digitizer that is fused to the glass from the factory – without it, the glass is useless. You cannot replace the glass or “remove” your good digitizer and reinstall it onto your iPhone without advanced equipment and lots of training. It just doesn’t work! These assemblies are built together and must stay together. I hope this information helps! The truth about the iPhone 5 Glass Replacement! Hello everyone, this post is in response to the THOUSANDS of you that have read our earlier post about the iPhone 4 glass replacements. I just need to clarify some of the questions that we receive constantly about this particular repair. The dreaded iPhone 5 “cracked glass” issue! 1. The 4/4S Glass,Digitizer and LCD WILL NOT WORK in your iPhone 5. As they look similar, they are 100% different products and not interchangeable. 2. The iPhone 5 Glass Repair is more expensive than the 4 and 4S iPhone Screen Repair. The reason is that the iPhone 5 version of the glass is a new technology called In-cell display. What this means is the display on the iPhone 5 is interlaced together like a carbon fiber, apposed to the iPhone 4/4s displays that are just fused on top of each other. With In-cell technology,you have a much better picture and can create a much thinner display. 3. You cannot just replace the glass on the iPhone 5. 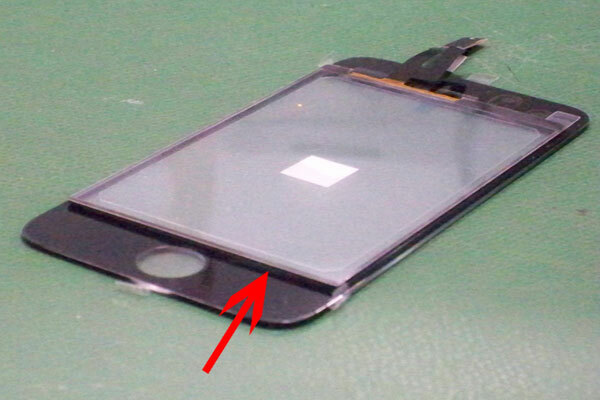 To fix a cracked glass on an iPhone 5 we must replace the glass, digitizer and the LCD as I stated above. These parts are (for a lack of better term) “interlaced” together from the factory. There is just no way to safely separate and reuse any of these parts. 4. You cannot use “plexiglass” and perform your own “cheap” repair. This is ridiculous. I have seen posts advising this and I challenge anyone to prove that they can get the touch digitizer and LCD off of their broken glass front and get it to work with a home made plexiglass front. Can’t be done. 5. We do sell “Do-it-yourself” iPhone 4 Glass assemblies & iPhone 4S Glass assemblies and we will soon offer the same for the black and white iPhone 5. This will help with some of the common questions, for sure. We know that there are many theories out there but you can take solid advice from us here at Mission Repair. We’ve repaired THOUSANDS of units and it makes perfect sense to listen to the voice of experience. Still have questions? Give us a call at 866-638-8402 and we’ll get you on the phone with a technician right away! We still have a few days remaining until Christmas and what better way to tell your loved one “I Love You” by getting them a Mission:Repair Gift Certificate ? I guess you could call it an “I love you, will you get that iPhone screen repaired already” Gift Certificate. We know how hard it is to pull people away from their computers, tablets and smartphones. It’s an even more difficult task to do it as a surprise! I know if my iPhone 5 were to randomly disappear, I would freak out, search high and low, end up conceding and buying a new one. Image how awkward of a gift that would be once opened. Don’t get me wrong, we have heard plenty of success stories when it comes to gifting a repair, I just don’t think I could pull it off or have it pulled off on me. How do you order this wonderful gift you ask? Its easy, just click the following link to make all of your wishes come true 😉 Mission:Repair Gift Certificate. Now the way this works is it is a printable item. Once ordered, you will be able to print the certificate at home! It is that easy. No need to pay for shipping, no waiting in line and you can order it up to Friday and still have it in time to give on Tuesday. Simply put your email address in as the recipient, once the Gift Certificate is emailed to you, print it out and put it under the tree! You can also email that special someone the gift certificate. If you have a friend or relative that lives 1 or 1000 miles away from you, no problem! Just specify a different email address when ordering, fill in the to and from information and send away. If you have any questions, please feel free to email me directly at Troy@missionrepair.com and I would be happy to help you out! Its a new month and its time to take a look at some of our top selling services here at Mission:Repair! With Christmas rapidly approaching, its a great time to sneak your loved ones broken iPhone or iPad into one of our Mission:Repair custom shipping boxes and have us repair it. You will become the King or Queen of gifts if you pull this off and we are here to help! 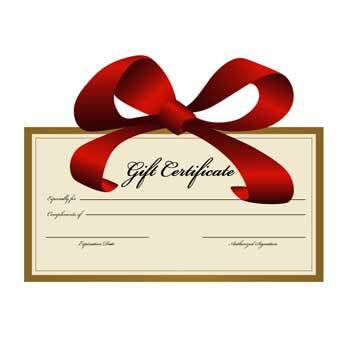 Another option that we offer here at Mission Repair is our lovely Gift Certificate. You can have this emailed or snail mailed to any amount of your loved ones if you can’t seem to peel them away from that broken device. 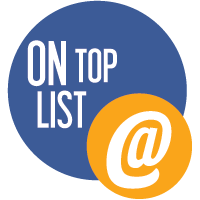 So… onto our top selling services! Well, there you have it. This is our honest to goodness Top 10 Selling Services. As you can see, there is a great mix of Apple, Samsung and some Kindle thrown into the mix. I have a few blokes here at Mission Repair that were talking about participating in “No Shave November”. The main reason for this is to raise awareness for men’s health, but there have been many tales of its origins. I myself, think its simply an excuse to be lazy and I embrace that! I have a total of 8 gents that I will be chronicling for the next 4 weeks. I will take a picture of their progress once a week and post it right here on our wonderful blog! Say Hi to Jake, David, nick, Ryan, Albert, Phil, Justin and Lennie! So here they are, the 8 brave/lazy souls participating in this storied tradition(I’ll spare you and them of a large sized picture )! As you can see, some of them already have a head start. This should make for some epic beardness for sure! While I sport quite the fancy beard myself, I am not 100% sure that I will let it grow rugged yet. I will keep you updated on that decision. We like to turn things into a competition around here and this is going to be no different. While I have no idea on how I will decide the winner yet, I do know the prize. I find it a much needed prize to be handed out in this situation.It is a years subscription to the Dollar Shave Club paid for by Mission Repair! I love this company and am a proud member so I can vouch for the prize! I would like to make this something our readers can benefit from as well, I will also provide a years subscription to the most Epic beard or other hair growth (I know it sounds nasty, but we are about equality here at MR, so men and woman are welcome to join but keep it PG) to one of our brave/lazy readers :-)! By joining the competition, you agree to have your picture posted here on the MR Blog if you are named the winner. Happy November to everyone and good luck on those beards! please note: This competition in no way, shape or form will interfere with our awesome iPhone, iPod, iPad, Smartphone, tablet, Mac or PC repair services ! I hope everyone has had a great weekend. Mine included a a toy car, a toy car launcher and my eye ball… Ouch! I’m sure my 3 year old son didn’t mean to, but it definitely seemed calculated. Luckily my eye is feeling better today and I am ready for what Monday has to offer. 3) Samsung Galaxy S II (T-Mobile) Glass Screen Repair. 4) iPhone 4 Front Glass Screen Repair. Touch Screen Repair Service. As you can see, this list is mostly filled by Apple products, but our other repairs such as HTC, Samsung and Motorola services are getting up there! It looks like a Samsung repair service already found its way to up to the # 3 position. This list is always changing. There is just no way to tell whats going to break next!